Love it! Your curves look gorgeous. I have the pattern but haven't jumped into it yet because of the curves... I'll get to it, though, especially seeing this quilt! It looks beautiful. This is my first time seeing it and I love it. I have this pattern but have not attempted it because of the curves. I love your colour layout. Totally delicious colors and curves! Wonderful job you did on this quilt. Thanks for sharing its story. This is so pretty! I love this pattern! It is solidly on my to make list now. So beautiful!Love the way you have laid out the coloured petals too. gorgeous! I love Hope Valley, and this is a fantastic pattern to show it off! 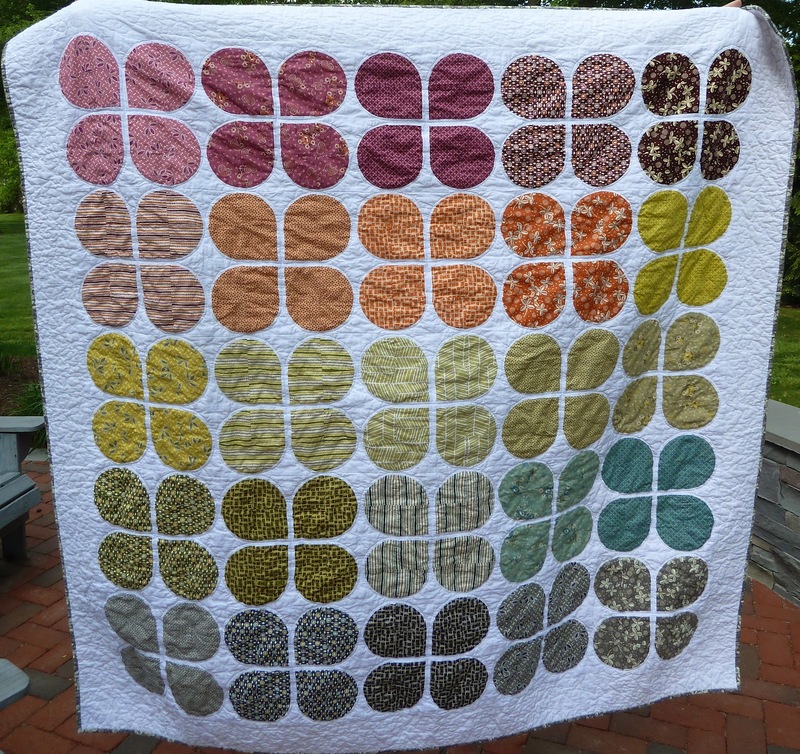 Love the way you used the colors across the quilt. 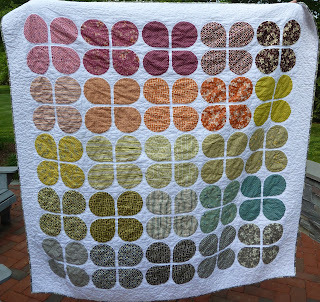 I have to do this pattern for sure now...it is a gorgeous quilt! So many fantastic curves! This is phenomenal. This is so beautiful, Jennifer! You did a great job choosing your color placement! Very nice quilt. Great job with all those curves. Once you get your nerve up to tackle them, they're not really so bad. This is really beautiful! I love your color choices and placement. Great job on the curves. I foung sewing curves almost addicting once I got the hang of it! You did a beautiful job on this. What a lot of work!! Congratulations on a fabulous finish. How could we possibly get tired of looking at this awesome quilt! It is truly beautiful and fun too. Gorgeous! I love the combination of this fabric with this pattern, the quilt is lovely! Holy Schamoly! I want to make this like NOW! Beautiful!! I love this pattern, beautifully done!